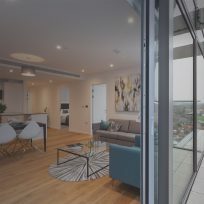 The redevelopment of this prime Thames-side site was for a leading global financial services firm. 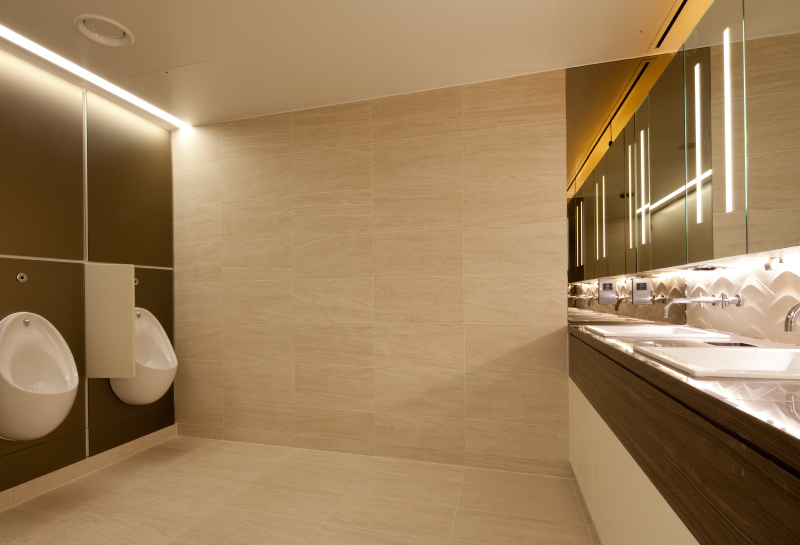 The extensive Washroom Fit-Out Package comprised MF ceilings, decoration, Bespoke Washroom Cubicles and Colour Backed Glass IPS Modules, Antique Brown Granite Vanity Tops, Sanitary Fittings and Porcelain Ceramic Floor & Wall Tiling, over seven expansive floors in total. 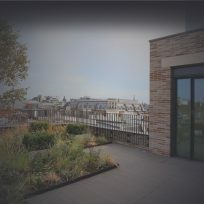 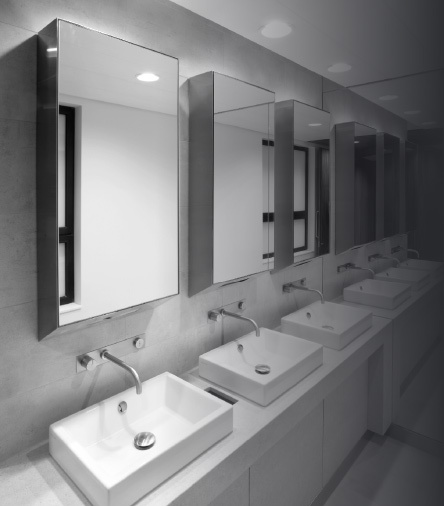 A Mechanical installation including all sanitary ware enabled us to provide aturn-key solution. 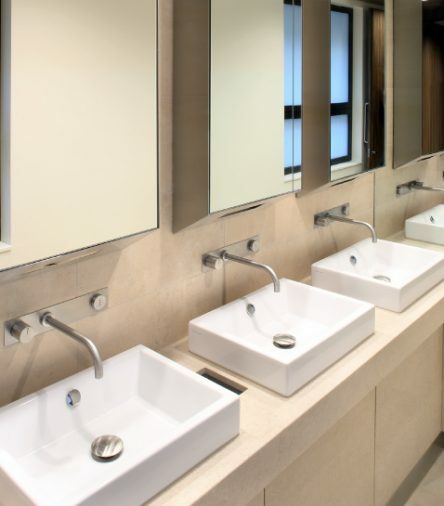 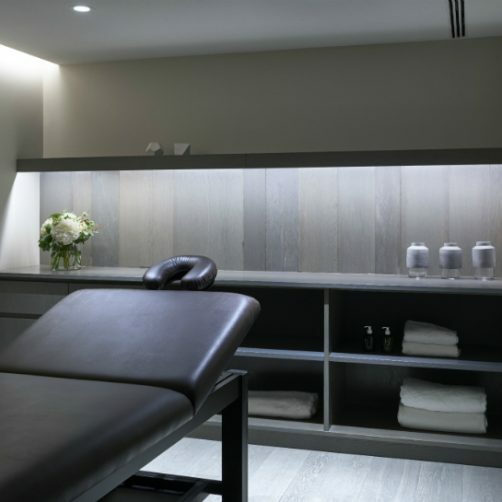 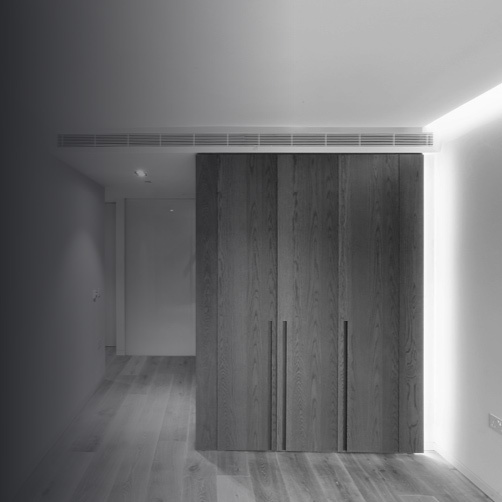 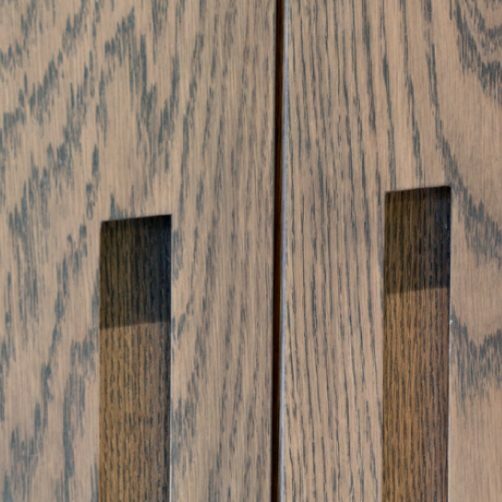 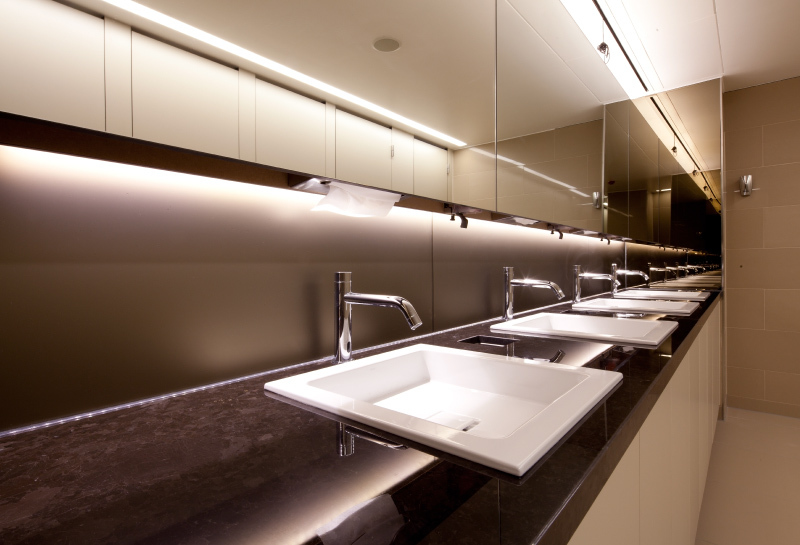 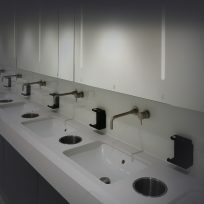 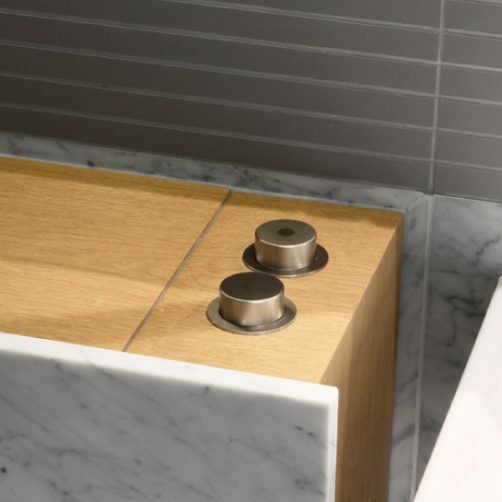 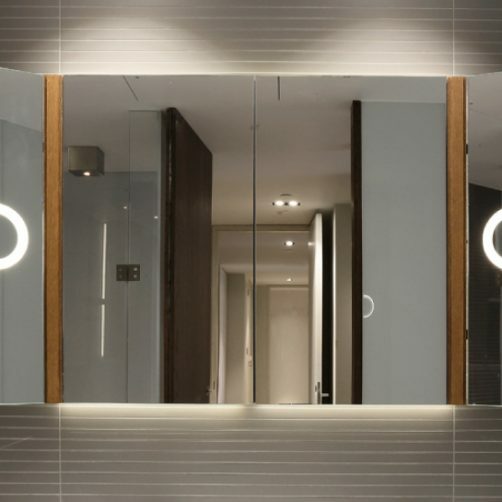 Our works not only captured the general washrooms and shower areas, but also included the fit out of the Executive Washrooms with enhanced finishes including 3D Tiling to Splashbacks, Brown Stripe Stone Vanity Tops and Polished Chrome Fittings.